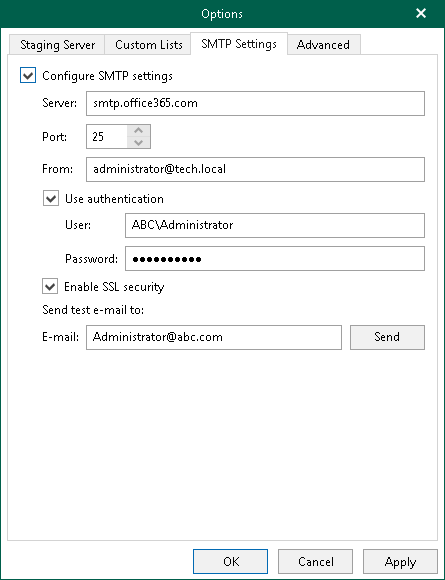 To send Microsoft SharePoint items as attachments, you must configure SMTP server settings. Go to the main menu and click General Options. DNS name or IP address of the mail server. The sender email address. This address will appear in the From field when sending SharePoint items. Select Use authentication checkbox If your SMTP server requires SMTP authentication for outgoing mail and provide valid credentials. Select Enable SSL security checkbox to enable SSL data encryption. Click Send to send a test email message.